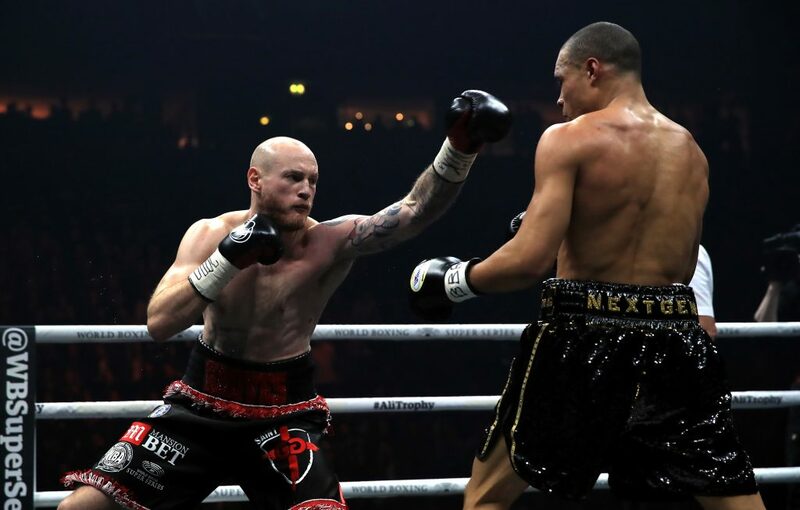 William Hill promise you won’t find a better price anywhere on round betting for the World Boxing Super Series super-middleweight final between George Groves and Callum Smith. But, where should your hard earned be placed? Check out our George Groves vs Callum Smith predictions below, after a quick look at the headline odds for the World Boxing Super Series super-middleweight final. On the balance of form there should be only one winner here, the man they call Saint George. The Hammersmith native will fighting at world title level for the sixth time at the King Abdullah Sports City in the Saudi Arabian city of Jeddah, having mixed it with respected champions Carl Froch (twice) and Badou Jack before his latest elite winning streak began. Smith has yet to taste the highest class of competition and, despite leveling up at British, European and Silver world level with crushing, stoppage authority, the Liverpudlian has failed to sparkle in the Super Series tournament. Taken to points by eleventh-hour replacement Nieky Holzken (more notably a kick boxer) in his semi-final, that win was a far cry from Groves’ comprehensive bamboozling of supposedly hot prospect Chris Eubank Junior in the Londoner’s own last-four assignation. As part of our George Groves vs Callum Smith predictions, we’ve picked Smith (‘Mundo’) to win by decision, with the heavyweight odds trading at 7/2. Those making anti-Saint-George predictions will point to the 30-year-old’s open contemplation of retirement in the preamble to this showdown, as well as the surgery he underwent after dislocating his shoulder against Eubank Jr. However, his trainer Shane McGuigan has suggested there is slim to no chance of a recurrence and has spoken of his fighter’s hunger for this bout still being enormous. Indeed, the drive needed to comeback from his potentially career-ending mishap alone should indicate the fire still burns. Why not read our boxing betting guide for all the latest betting tips on the match? George Groves (l) is hungry for a win against Smith. We’ve made him our pick to emerge as the victor in Jeddah. Click here to access the latest odds on the Groves vs Smith fight. Saint George has stopped two of his last five opponents, going the distance last time out. Any predictions involving him winning are likely to be focused around a lengthy engagement. His opponent is a big man for the super-middleweight division and has never been put down, making the narrative of the more savvy Groves prevailing on points a compelling 7/4 wager and our pick of the heavyweight odds. Take the 7/4 betting tips with William Hill and you know you’ll be getting the best odds around on round betting (subject to terms and conditions), as ‘Groves on points’ is included within that market. If a stoppage from the Londoner appeals more, it could be worth noting that his last six wins inside the distance saw him snuff his opponent’s challenge between rounds four and seven. Groves to win in round four is a 35/1 pick, leads our George Groves vs Callum Smith predictions, as is him winning in the fifth, while Saint George sealing victory in the sixth or seventh are both priced up as 30/1 selections. If the younger man is to swipe the belts, it’s arguable that he may also have to rely on the interpretations of the ringside judges, having failed to stop his first two Super Series foes. Backing Smith on points is 11/4 in the round betting, again a price that won’t be beaten anywhere prior to the opening round. Groves has only been stopped twice in his career, both times by a true champion in Froch, with those demises served up in the ninth and eighth rounds respectively. An eighth-round win for Smith is a 33/1 selection from the betting tips, while a stoppage for the youngest of that family’s boxing dynasty in the ninth is a 40/1 pick. However, expecting the man they call Mundo to succeed where the likes of Jack have failed seems a tall order against such a seasoned and durable competitor as the Londoner, and the final installation of our George Groves vs Callum Smith predictions proves that.